The FRDM-KL25Z is an ultra low cost development platform enabled by Kinetis L Series KL1x and KL2x MCUs families built on ARM Cortex-M0+ processor. It features a KL25Z128VLK, a KL2 family device boasting a max operating frequency of 48MHz, 128KB of flash, a full speed USB controller, and loads of analogue and digital peripherals. The FRDM-KL25Z hardware is form factor compatible with the Arduino R3 pin layout, providing a broad range of expansion board options. The on board interfaces include an RGB LED, a 3-axis digital accelerometer, and a capacitive touch slider. The development platform is supported by a range of NXP and third party development software. 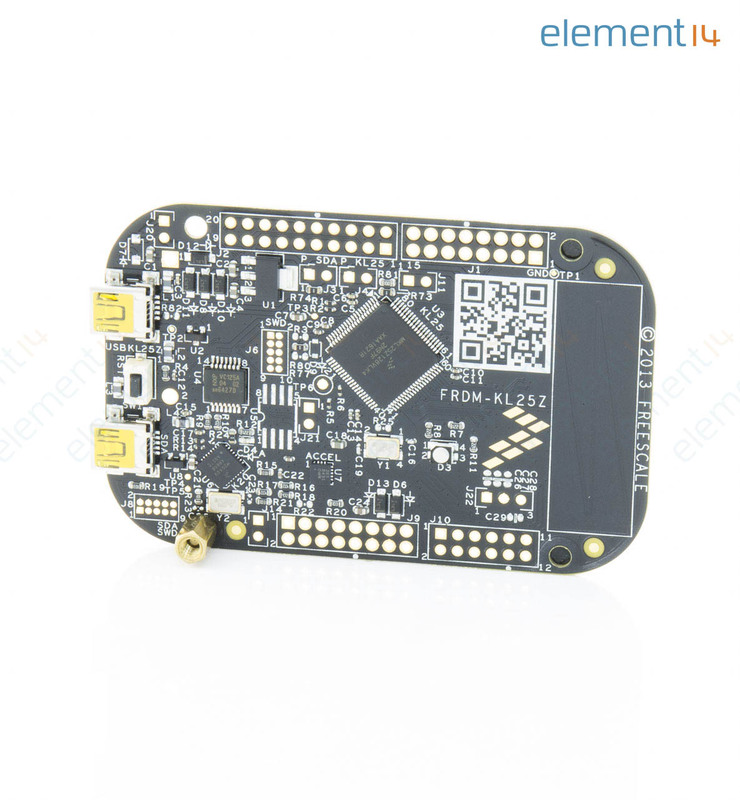 The FRDM-KL25Z is the first hardware platform to feature the NXP open standard embedded serial and debug adapter known as OpenSDA. This circuit offers several options for serial communications, flash programming and run control debugging.